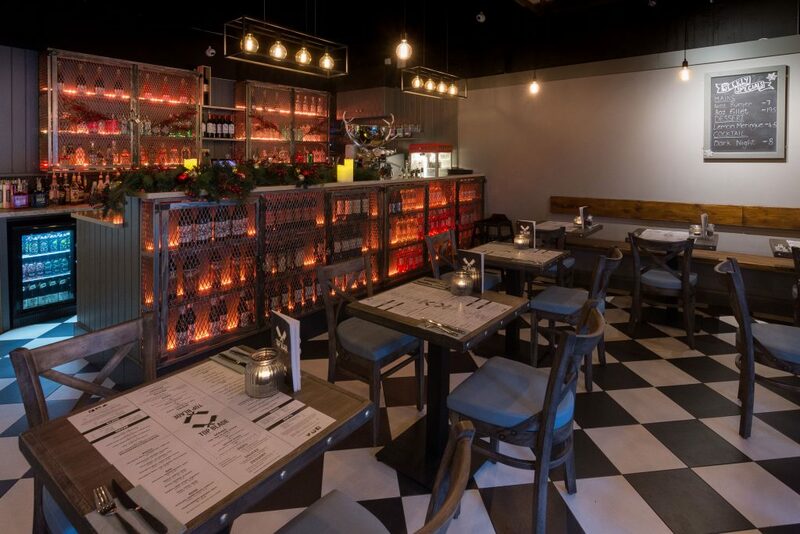 Belfast diners certainly haven’t been starved for innovation of late as restaurateurs continue to strive for differentiation in an increasingly frenetic marketplace. New experiences are still to be had, however, and thanks to the efforts of Lurgan business woman, Zara Peden (22), an age-old restaurant stalwart is now back on top of the menu. Her new restaurant, Top Blade at St. Anne’s Square in Cathedral Quarter, focuses exclusively on a single cut of meat – the flat iron steak, also known as the ‘top blade’. The flat iron comes from the shoulder and the muscle and it’s a very tender and flavourful cut. At Top Blade, flat irons are presented in a variety of imaginative ways by head chef, Rory Wallace. 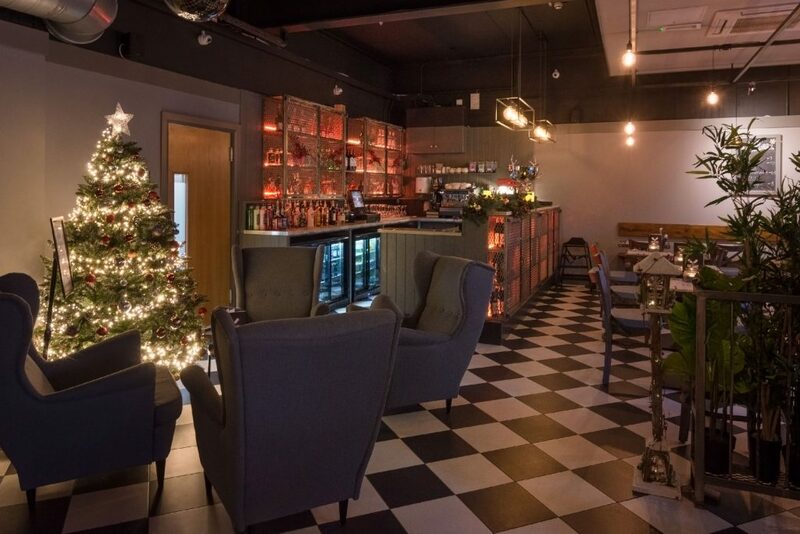 Located in premises formerly occupied by Chopin bistro, Top Blade features bespoke tables and chairs and a muted, industrial colour scheme that gives the venue a modern, inner city feel. Zara, who studied business management at Queen’s in Belfast, has a background in retail. She first viewed the premises at St. Anne’s Square around July and work began in August before an opening in October. ‘Cathedral Quarter is an up-and-coming place with a great vibe and it suits this type of restaurant where people like to get in, enjoy their food and get out to head on to somewhere else,’ adds Zara. 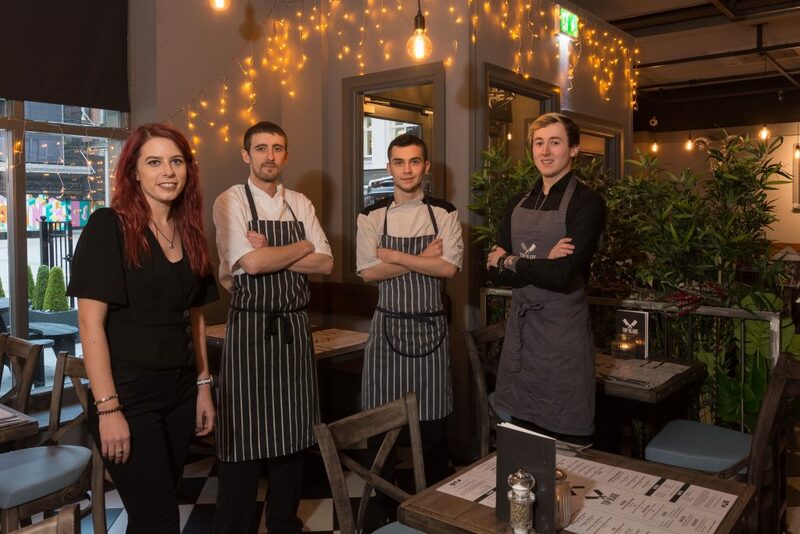 Zara is pictured with head chef, Ruairi Wallace; assistant chef, Declan Timperley and barman, Carter Wood. The flat iron cut is available at £10 with a selection of sides and sauces. A single dessert is offered, which is currently profiteroles with dipping sauces. There is also a specials board which changes weekly and does offer an alternative dessert and some additional options for steak-lovers. Seitan steak is also on offer for vegetarians and vegans. Zara also indicated that she is already considering opening another restaurant specialising in flat iron steaks, probably in Belfast. ‘This has gone very well for us so far, I couldn’t be happier,’ she added. Also, the specials board will change weekly.